Why Should I Hire A Green Pest Control Company? So you are looking for a Sacramento pest control specialist. That means your problem needs to be solved quickly. When dealing with a commercial or home rat problem (or other rodent issue, we should warrant), you might not be proactively searching for an environmentally-friendly rodent control company. Not that you are searching for an environmentally antagonistic rodent control company by any means. You’d likely take the former over the latter all things being equal. But in spite of the fact that you may not have heard of our advanced Integrated Pest Management (IPM) techniques, you might be significantly more interested in enlisting our eco-friendly pest and rodent control services if you’ve experienced the potentially adverse, somewhat toxic chemicals being released in your home to handle a pest infestation of some kind. 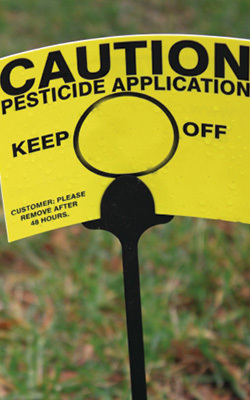 The EPA estimates that 45 million pounds of pesticides are annually released in homes and gardens. That’s over $2 billion in yearly revenue. Not to fear-monger – but to simply relay the facts – many of these commonly used chemical pesticides have been linked to health problems like birth defects, neurological issues, reproductive health problems, and cancer. In today’s post, we are going to take a more in-depth look at the opposite side of the coin. That is, we will be highlighting what homeowners and business owners searching for a local pest control company worth their salt. Like we said, a good deal of folks don’t often consider the possibility that a pest control provider might not be using the safest measures. We at Earthwise Pest Management of Sacramento, Carmichael, and beyond want you to be as educated as possible when it comes to a significant decision like this. We encourage you to not select the very first provider of pest control services you find. Do your due-diligence! We can help. Keep reading to understand the contrast between our green pest control services and what some of the other guys employ. Whether you are seeking residential or commercial pest management, we can help. It should be said that the chemical developers of this approach have worked to reduce the mammalian toxicity of commonly used pesticides and rodenticides. They’ve also worked to decrease the mutagenic (birth defects) and carcinogenic (cancer-causing) likelihoods as well. As noble as their efforts have been, it doesn’t solve the problem that faces homeowners looking to stop fleas, moths, critters, spiders, earwigs, boxelder bugs, roaches, termites, ants, rats, or whatever else is bugging you. While modern pesticides have certainly improved in their safety, it remains the case that there are still countless products and many exterminators who have used dangerous pesticides. That doesn’t mean that these exterminators were knowingly using harmful chemicals in their customers homes and places of business. In fact, they did what they could. The manufacturers of these products in question were honest as well. There simply wasn’t the research to inform the public that “x” chemical, like DDT (a once commonly-used pesticide). For example, chlordane was a chemical once a popular chemical for termite control. Pest control providers weren’t aware of the fact that it would later be found out to be linked with health issues. It would be foolish to think that we aren’t’ capable of repeating the same errors over yet again. Sometimes it takes years or even decades to discover that what we’ve been doing for that entire time has been detrimental to many folks who were none-the-wiser. That’s why pest exclusion is always the preferred route. We can safely and effectively control pests while still being safe. We will say more about our Integrated Pest Management at the end of this post. In the same vein, a year 2000 study reported in the journal Cancer found that children who were diagnosed with non-Hodgkin’s lymphoma had a likelihood of living in a pesticide-sprayed home that was seven times greater than children who had lived in a residence where pesticides hadn’t been sprayed. We believe that the above is sufficient evidence to move onto our own Integrated Pest Management method. Our owner, Joe Hawkins, a second-generation pest management professional, has grown up in the pest and rodent control industry, so he knows a thing or two about the history of pesticides and the necessity of an environmentally-safe pest control option. While you can read a full description of IPM and a bit more about our background here at Earthwise Pest Management, we’ll give you the long and short of our proven pest exclusion and removal techniques. We manage pests by removing their food sources, their water sources, and their shelter. Our three-step approach involves a detailed inspection, proper pest identification (so we know how to treat), and then the selection of a treatment procedure that is often dynamic and multi-faceted. These techniques include sealing cracks, changing sanitation practices, botanical pest control materials, or even the installation of screens to better exclude whichever pest is driving you bonkers. At our Carmichael pest control company, we have a Quarterly Pest Maintenance program which affords our clients a more proactive approach when it comes to both rodent control in Carmichael and pest control. We come to your home four times each year, making sure that your home is protected externally and secure internally. Our seasoned approach to pest exclusion means we know how insects and rodents behave, so we know what to look for. And while some people think that pest exclusion or critter control is only relevant in the warmer months, this is simply not the case. Pests seek shelter, food, water, and warmth inside structures. Such a problem must be dealt with, otherwise they can cause significant structural damage to your home or place of business. While other pest management companies might only be reactive in approach, we understand that this kind of work requires a year-round fervor. 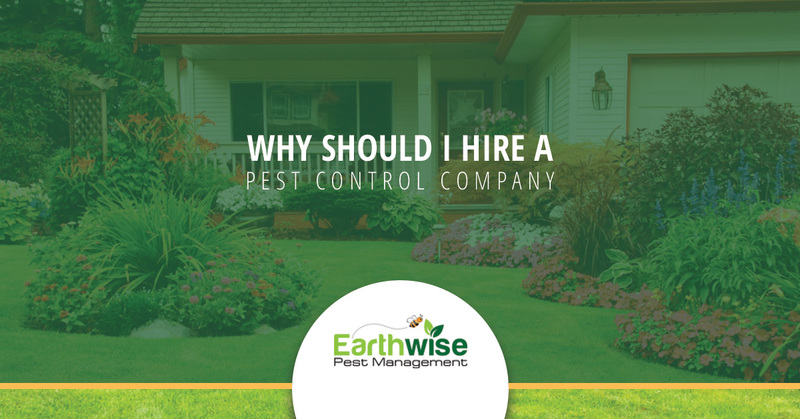 Maintaining control over pests is possible with an actionable plan provided to you by a home pest control company like Earthwise Pest Management! We’d love to share more with you about why we are qualified to earn your business. If you are interested in green rodent control, we have a proven method that is designed to humanely and safely stop pest and rodent issues in their tracks. Whether you have a moth infestation, need a mice exterminator, or just have some questions about our process, give us a call and get your free quote from Earthwise Pest Management today!